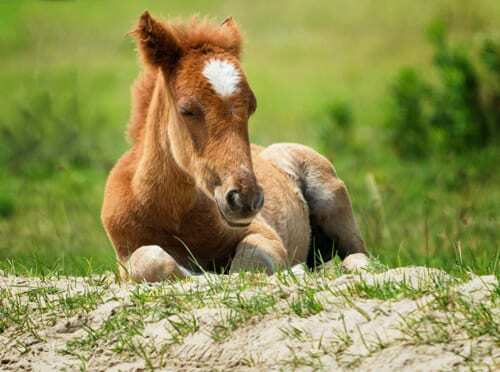 Felix – Rescued Colt. Felix’s mother was much too young to fully care for him, and it was reported that he may have ingested some stray fishing line on the beach. Small for his age, Felix may reach a mature height of 10 hands. He is known for his playful personality, and he is available for adoption. Buster – Rescued Colt. 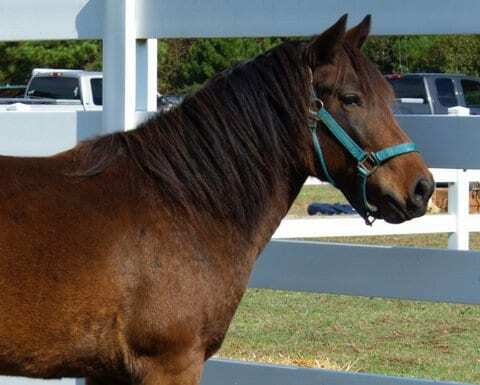 He has been returned to us after six years of loving care by his original adoptive family. 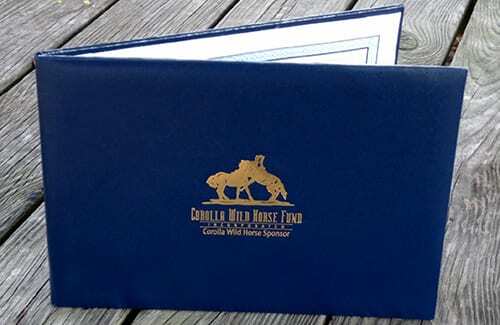 Back with the CWHF, he is continuing his training and has been an important part of our offsite education events. Buster has a very gentle, friendly personality and is a a quick learner and will soon be available for adoption. 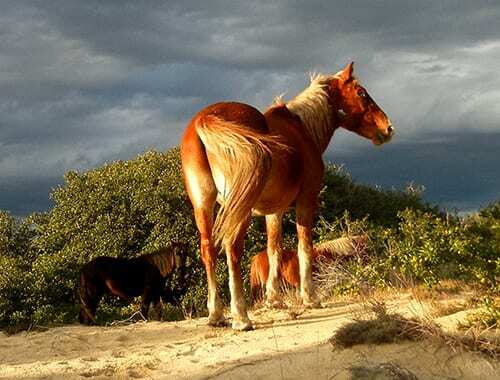 Noel – Rescued Mare. Noel was rescued after becoming stranded in one of the Canals in the Corova area. After rescue, x-rays showed that she had a fractured femur. CWHF brought her in from the wild for care and rehabilitation. 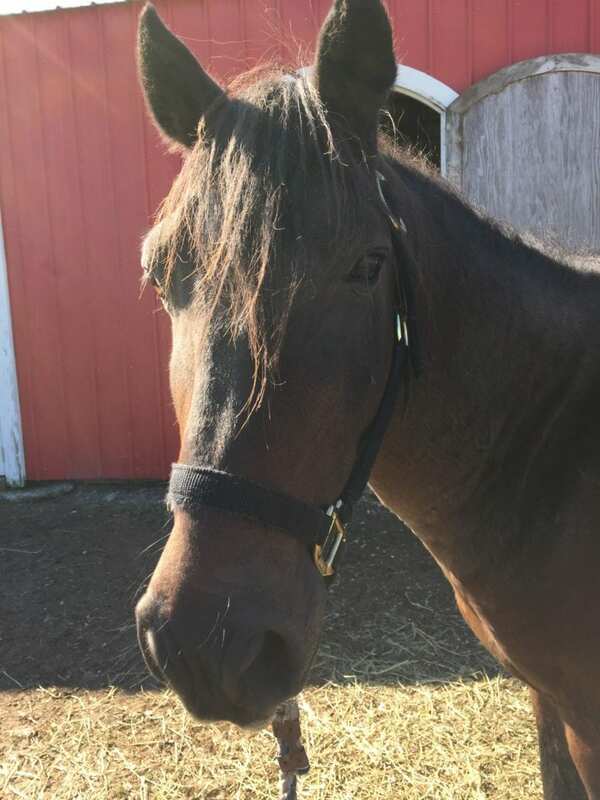 Noel is now saddle trained and available for adoption. Roamer – Rescued stallion. Roamer is a 10-year old who persistently swam around the south sound-side fence and was in danger of being struck by a vehicle. 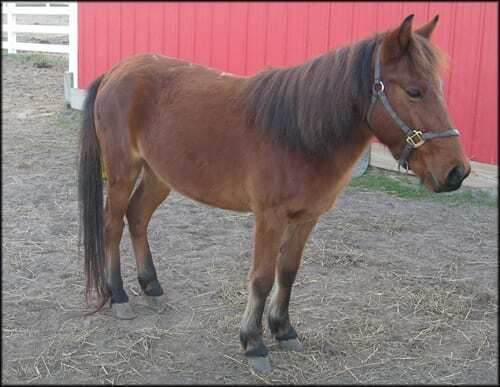 Within two months of being rescued, he is already happily settled into domestic life and is even halter-trained! 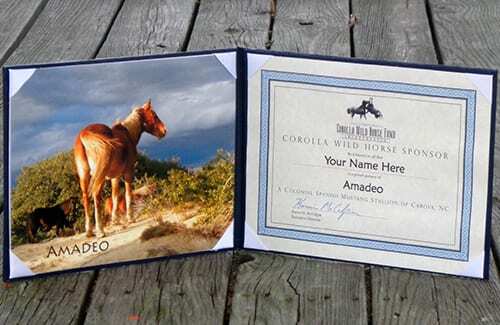 Deluxe Leatherette Presentation Folder with 8.5×11″ photo of sponsored horse and CWHF sponsorship certificate. Click picture to enlarge.